Changemaker Catalyst Award recipient John Harris Alexander travelled to the Ashoka U Exchange in Boston, Massachusetts this year to further develop his understanding of social innovation curriculum and the direction the field is heading towards. John is majoring in Environmental Studies with a minor in Social Innovation & Social Entrepreneurship and is a current Design Thinking Student Fellow at the Taylor Center. 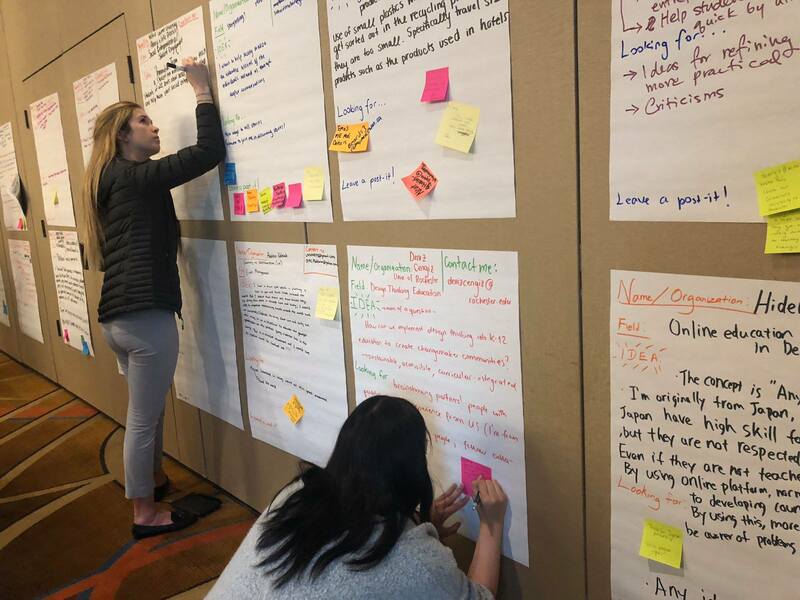 Students listed areas of interests and challenges they were facing on their own college campuses and provided resources to assist one another as well. I became a Design Thinking Fellow at the Taylor Center to help educate and facilitate others learning around complex problem solving methods. The Ashoka U Exchange is one of the largest international gatherings for college and university professionals to learn and share leading practices for embedding social innovation in higher education. In this year as a Design Thinking Fellow, I’ve realized that disseminating education around social innovation is the most effective way to spread and grow the community of social innovators at Tulane and in the world. At the Exchange we started every day with breakfast and a keynote presentation from Ashoka U. On the first day it was titled: New Leadership in an “Everyone a Changemaker World.” This title in and of itself is focused on raising up and empowering the next generation of Changemakers and showing everyone that it is the entire generation and not just a select few that have the potential to change the world. Essentially this is exactly why I went to the conference, in order to learn more on how to empower everyone around me to create the change they wanted to see in our great big world. 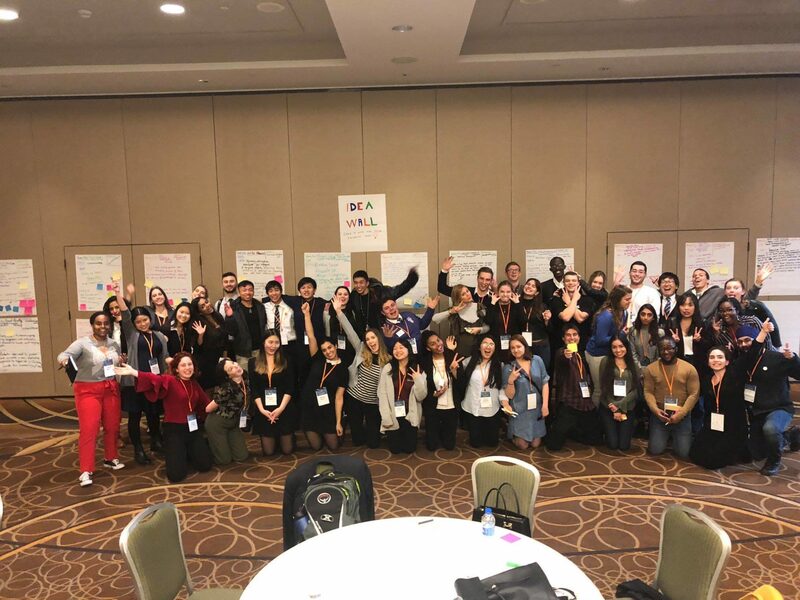 Students connected with one another through ideation around complex issues on their campuses to create a truly international network for the Changemakers of the future. Throughout the conference I had chances to meet and speak with innovative thought leaders from all around the world. (Potential future jobs?!) In meeting professionals from elsewhere I was able to see how social innovation was taking action elsewhere in the world. By speaking to students from these colleges and universities as well I was able to also see what the students’ perspectives on campus issues were. Many of the complex social issues they were dealing with were not dissimilar to those that we face here at Tulane. They were struggling with how to move forward much in the same way that we are struggling to move forward yet when we shared ideas on how each institution was tackling problems we found something curious: we were all working in different ways. Maybe, just maybe, if we can collaborate and bring our different actions to the table we can work on these issues across our university and college boundaries to drive social innovation throughout the world. 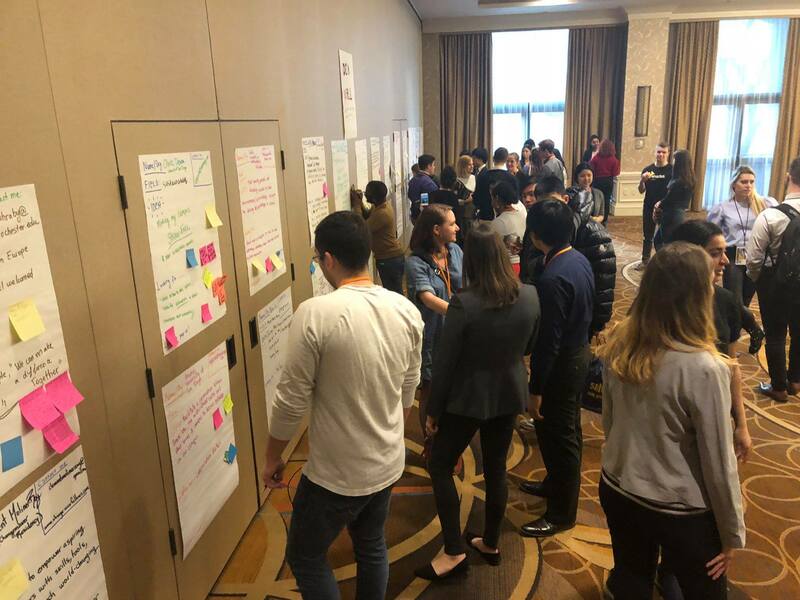 On the final day of the exchange I had the opportunity to work with Tulane Professor Tom Sherry, Tulane Professor Laura Murphy, and SISE Instructor Maille Faughnan to create a workshop on bringing the work of social innovation into the field of environmental action. 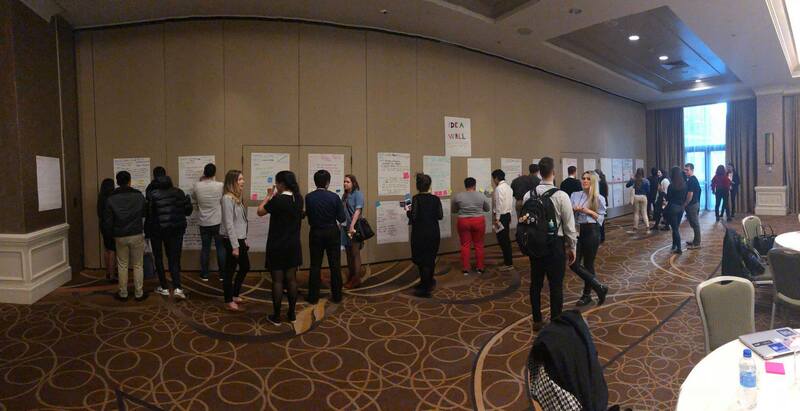 We were able to create conversations around prototyping and ideating with individuals from universities and colleges from around the world all wanting to work towards a more just and sustainable future. This international collaboration by educators to infuse their classes with innovative thought on environmental action was really inspiring to me and I hope to be a part of it as we continue on in the environmental movement here at Tulane. The participants in this workshop have already started discussions about staying in contact and updating one another on the environmental progress at our institutions. All in, the Ashoka U Exchange was a fantastic experience to meet individuals working in the social innovation field and exchange ideas that I can bring back to the environmental movement at Tulane even if they originated from different backgrounds. The idea that we can use ideas and theories and apply them to movements where they didn’t originate is what I want to bring back to the environmental work at Tulane as we look beyond the environmental science and into the intersectionality associated with environmentalism. Social innovation will drive forward change and I was happy to meet so many other individuals looking to bring social innovation into their fields of interest and especially into environmentalism.